Even if you've moved on to a Switch by now, the former era of portable Nintendo games is something to keep celebrating. Nintendo's latest DS handheld, the New Nintendo 2DS XL launched on July 28th last year, and is backward compatible with all existing Nintendo 3DS and DS games. 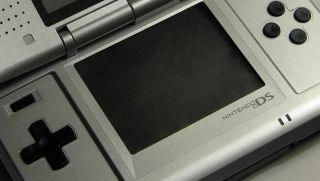 The original Nintendo DS might be almost 13 years old – and is unlikely to win any beauty contests – but this innovative and enduring portable system gave us some of the finest handheld experiences in all of gaming. Long before smartphones and tablets, it was the device you needed with you at all times, to enjoy the games you loved on the go. To those looking to one of gaming's greatest devices of yesteryear, we proudly present the 25 best DS games of all time. Kirby meets Pikmin. It's a weird hybrid to be sure, yet somehow in practice it makes perfect sense. Kirby Mass Attack may have been Kirby's last jaunt on the DS, but it's also tied for his best with the excellent (but wildly different) Canvas Curse. The game's level design and puzzles are brilliant, using the multiple Kirby idea to its full potential. Couple that with the expected charm of a Kirby game, and we have an adventure that rivals any of the pink marshmallow's previous exploits. To an outsider, Radiant Historia may look like any other JRPG. Brooding hero? Check. Fantasy setting? Check. Turn-based combat? Check. However, this game takes serious risks with the formula, concocting an original and thorny experience. The three-by-three grid battle systems allows for an infinite number of strategies and flashy combos, while the branching, time travel-based storyline keeps the plot interesting. As the game stretches on, you'll find yourself wishing that it never stopped. Special note also goes to Yoko Shimomura's lovely score. Man those are some good tunes. Trauma Center: Under the Knife 2 does everything it can to prove that you are not fit to be a surgeon. Surgery is hard, lives are at stake, and using the touch-screen capabilities of the DS has never been quite as fun as when it puts you into terrifying medical emergencies. Sweating buckets trying to kill an infection, gritting teeth as you sew a patient back up, freezing in tension while trying to mend a broken bone. If nothing else, Trauma Center: Under the Knife 2 does an incredible job of conveying the agonizing pressure of being a surgeon while also being an incredibly fun game. This sequel perfected the original's novel ideas and inspired successors like Surgeon Simulator years later. Sonic the Hedgehog games tend to be hit and miss, but luckily for anyone who owned a DS, Sonic Rush was very much a hit. Sega's blue blur was as fast as he's ever been on Nintendo's portable system, featuring lush, colorful stages rendered in 2D and beautiful animations for Sonic and Blaze, who were 3D. "Rush" is certainly the right word, as the game gave you a boost ability that turned you invincible and made smart use of the DS' two-screen setup to give a sense of momentum. One minute you're rolling along the hills on the top screen, the next you're plummeting at high speed into the bottom. There isn't a more quintessential handheld Sonic game than this. For 17 years, Japan alone experienced the joy of Dragon Quest 5, one of the largest, grandest RPG experiences on the Super Nintendo. When the DS became the series' new home in the '00s, Square Enix thought it right to finally bring Dragon Quest 5: Hand of the Heavenly Bride to the West. Thank the Goddess they did, because it is not to be missed. Little did we know that things like plot-changing choices and major twists could be found way back on the SNES, but Dragon Quest 5 has them in spades. By following the hero from birth, we witness every little turn his life takes, both good and bad. Why it took so long for Americans to finally get this is anyone's guess, but we're more than happy to be able to play it. The first Scribblenauts was an idea we absolutely loved... until we actually got hold of it, at which point we realized that most of its puzzles could be solved by just typing in the word jetpack. Super Scribblenauts, released a year later, worked around that problem by offering puzzles that - while still solvable in a variety of different ways - were more complex than just grab the star. Rather than just dangling a shiny object in front of us, Super Scribblenauts made you work for it by meeting certain conditions; getting a lion to fall asleep, for example, or waking up an astronaut so they could put out a fire. The sharper puzzle focus made Super Scribblenauts infinitely more interesting than its predecessor, and kept us fascinated even after we'd gotten bored of the game's real draw: experimenting with bizarre objects on the title screen. Link's first DS adventure took us back to the open seas in The Legend of Zelda: Phantom Hourglass. The Wind Waker-style graphics translate perfectly to the DS, and the touchscreen controls give you a whole new way to play a Zelda title. Everything else about Phantom Hourglass is classic Zelda but a little different. Exploration, dungeon-crawling, and new gear all make keen use of the DS touch screen, microphone and even its clamshell shape for solving puzzles. Just get used to the Temple of the Ocean King, because you'll be going there seemingly forever. "You are going to participate in a game. The Nonary Game. It is a game... where you will put your life on the line." These chilling words best describe the puzzle masterpiece known as 999: 9 Hours, 9 Persons, 9 Doors. 999 shares a lot of what makes the Saw movies scary: strangers locked together in a tight space, and a deadly game being played that they've no idea how to win, with seemingly no way out. The story is intense, the puzzles are masterful, and the game will stick with you long after you've finished. Not many games sneak up on us and grip us like 999 did, which, considering the storyline, is more than appropriate. The game is available on iOS but only the DS version has its killer puzzles. If you want to play its excellent successors Virtue's Last Reward and Zero Time Dilemma, you must start here. The love and care that went into Retro Game Challenge wins over who ever plays it. It's a minigame compilation, but each game directly rips off an '80s classic and turns it into a 15-minute abridged version perfect for a handheld system. Best of all, each game comes with a fictional backstory told through a series of made-up articles that read exactly like game magazines of the '80s and '90s. So yes, it appeals directly to aging gamers who long for their lost youth. But even post-1990 players should be able to carve out some new-old memories with copycats like Robot Ninja Haggle Man, Cosmic Gate, Guadia Quest, and Rally King. Each comes with a quartet of goals to achieve before moving on to the next, though each is substantial enough to keep you playing well after those challenges are met. All the while the floating head of the real-life Japanese TV show's host eggs you on. Years ago Nintendo implemented a clever new way to combine aspects of both Sudoku and crossword puzzles into its unique brainteaser. Picross (short for Picture Crossword) adapted the Japanese creation of nonograms into a treasured series of games. You start each puzzle with a hint of what the final image of the puzzle will be, and then see how many squares within a line should be filled in. Combining logic with trial and error, you eventually create a picture out of what's left; that challenge was deepened immensely in Picross 3D by adding a third dimension to the previously flat puzzles. If you've played all the other predictable puzzle games on the DS, pick up this to get a taste of something different.